“Nepali journalists are great and they should look ahead” Mr. Stephen Franklin a veteran journalist and foreign correspondent from USA making a week long observation of Nepali media said. Discussing with the trainee journalists of Investigative Reporting Training (NMDC with the support from U.S. Embassy Kathmandu had organized the training from 23-26 September 2013, in Kathmandu),Franklin said that Nepali journalists are dedicated and some of them are competent enough. Trainee journalists working in national media in Kathmandu had shared that the training has become a very fruitful tool for them that has inspired in their day-to-day reporting. 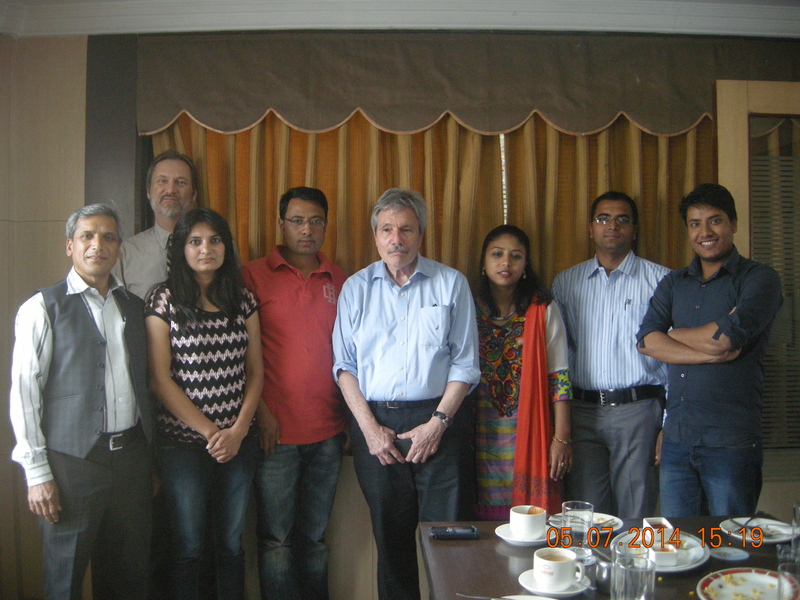 National Media Development Center (NMDC) had organized a brief post training evaluation meeting with the trainer on 7 May 2014 in Kathmandu. Franklin also asked the reporter to share their reporting with the blog named: The Mountains Speak हिमाल बोल्छhttp://nepaljournalists.wordpress.com/about-nepal-journalists/ created for the development of good journalism and Nepal’s development.